3D water feature design concept. Water Scenes design and construct individual landscape water features in Dorset, Hampshire, Wiltshire Sussex, Surrey, Berkshire, Buckingham shire, Oxfordshire, Middlesex and Hertfordshire. We offer a start to finish service to ensure our water features, fish ponds, waterfalls and natural swimming pools look and work in the way that they were designed. 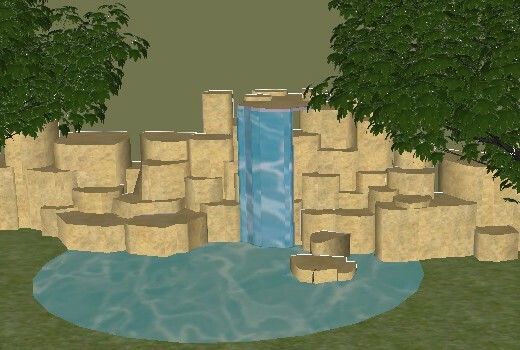 Visit our main water feature design page to find out more about what we do or visit waterfalls and cascades page to see the article associated with this 3D waterfall image.